3D Beaded Hummingbird Pattern and Kit! 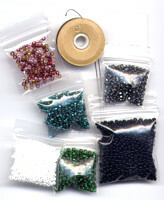 You can now make your own 3-D Beaded Hummingbird! 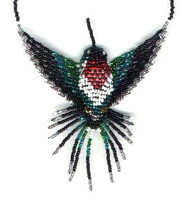 When finished, the beaded Hummingbird is about 4 inches tall and 3 inches wide. I use a variation of a square stitch. This Hummingbird pattern is done in this style. I bead these hummingbirds while I watch the real live little creatures flying outside my big picture window. I love to watch them and sometimes there are up to forty of them at once!! When finished, the beaded hummingbirds are about 4 inches tall and 3 inches wide, very close to the actual size of the hummingbird. This hummingbird has also been called beaded hummer and humdinger by dragonfay, that would be me, I go by dragon or dragonfay! 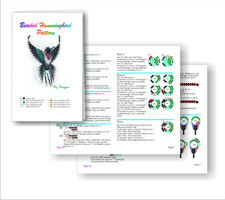 3D Beaded Ruby Throated Hummingbird E-Pattern!